Sad news for Grimm fans. Deadline reports the NBC series will end after its upcoming sixth season. The drama follows homicide detective Nick Burkhardt (David Giuntoli), who is charged with protecting humans from supernatural creatures. The cast also includes Russell Hornsby, Silas Weir Mitchell, Reggie Lee, Sasha Roiz, Bree Turner, and Claire Coffee. Rumors that this would be Grimm’s final season have circulated since NBC only ordered 13 episodes for season six and Giuntoli said it could be the last season. Ratings for the series have never been particularly high. Season five received an average of only .89 in the 18-49 demo and 3.943 million viewers. Season six of Grimm is slated to premiere on January 6th at 8 p.m. ET/PT. “GRIMM”: The final season begins Friday, Jan. 6, 8-9 p.m. Closing out an incredibly successful series run and giving viewers a chance to say goodbye over the last 13 episodes, the sixth and final season of NBC’s drama “Grimm” will begin its last chapter with the battle fans have long been waiting for — Nick versus Capt. Renard. As for events leading into the final season, the nefarious forces of Black Claw have been silenced and Nick (David Giuntoli) faces an all too familiar foe in Capt. Sean Renard (Sasha Roiz). Now in the seat of power as the mayor elect of Portland, Renard is poised to bring rise to his own brand of law and order. Nick must take a stand to protect his city and those closest to him, especially his child with Adalind (Claire Coffee). It will take the full force of Nick and his allies to find a way to bring the peace. The series was created by David Greenwalt & Jim Kouf and Stephen Carpenter. Sean Hayes and Todd Milliner (“Hollywood Game Night,” ”Hot in Cleveland”) serve as executive producers along with Greenwalt and Kouf. “Grimm” is a Universal Television and Hazy Mills production. What do you think? Are you a fan of Grimm? Are you sad the series is ending? 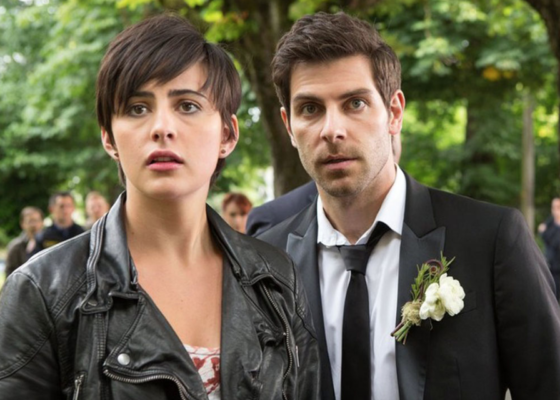 More about: Grimm, Grimm: canceled or renewed?, NBC TV shows: canceled or renewed? Love the Grimm series. Would like to see a season 7 PLEASE! Great actors and stories! so sad to see this end after 6th season, they are like family and so many different things happening.